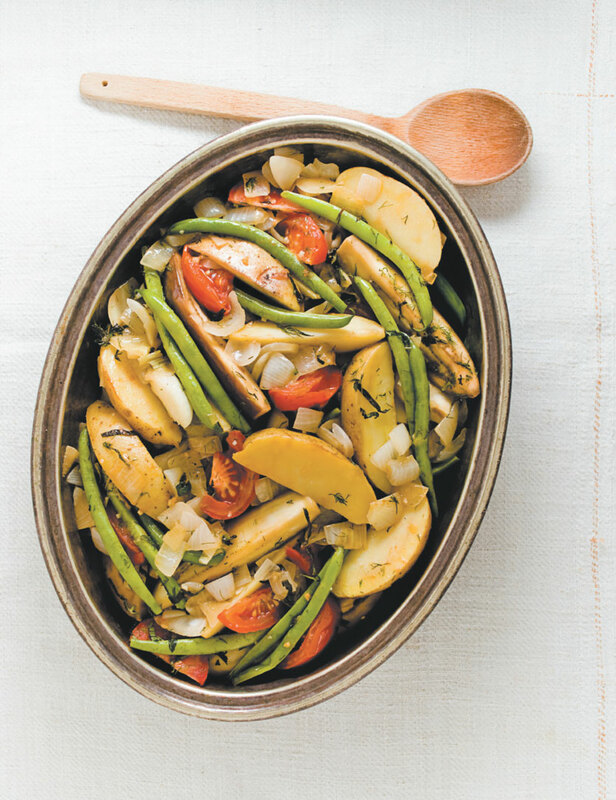 — In a heavy saucepan, combine olive oil, garlic, onions, green beans, eggplant and potatoes. Cook for 3 to 4 minutes on high heat. Add tomatoes and herbs; season generously. Deglaze with Ouzo and moisten with chicken broth. — Simmer at low heat for approximately 1h15. NOTE — Aristo’s «yiayia» (grandmother) used to prepare this dish for him. Today, a couple of generations later, his daughters carry on the tradition. Delicious with feta cheese and any grilled meats.